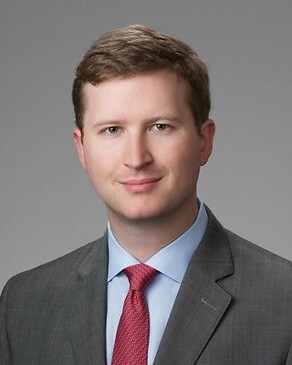 By applying a blend of pragmatism and aggressive advocacy to achieve each client’s goals, Jeff Wigginton regularly produces outstanding results for businesses, business owners and professionals in contentious and complex civil litigation matters where their reputation, business and assets are at stake. These matters often involve commercial and business litigation, energy litigation, construction litigation, professional malpractice claims, and tort litigation. Jeff also maintains an active insurance coverage practice which includes representation of his clients across the full array of property and casualty insurance matters they may encounter. Jeff has obtained numerous successful outcomes for his clients involving errors & omissions, directors & officers, commercial general liability, commercial property, commercial auto and garage, and inland marine coverage forms, as well as related excess coverage forms. Often times, this representation includes litigating bad faith claims and statutory violations of the insurance companies and professionals involved. In addition to directly litigating such insurance disputes, this experience greatly benefits Jeff’s clients when he handles the prosecution or defense of a case with complicated insurance issues standing in the way of resolution. Successfully defended in a three-week jury trial a closely held company and its owners accused of fraud and breach of fiduciary obligations against minority stakeholder claims in excess of $10 million, and successfully prevailed on counter-claims for conversion, fraud and breach of fiduciary duty by the company’s President. Successfully defended in a jury trial a national restaurant chain and its franchisee from a significant multi-million dollar claim for a personal injury on their premises. After successfully arguing for death penalty sanctions against all defendants for discovery abuse, obtained a default judgment exceeding $10 million in a complex business fraud case against an investment advisor who stole clients’ entire retirement account through a Ponzi scheme. Judge awarded all compensatory damages requested as well as the maximum punitive damages allowed by law. Kuentz v. Cole Systems Group, Inc., 541 S.W.3d 208 (Tex. App.—Houston [14th Dist.] 2017, rehearing denied, rehearing en banc denied). Obtained summary judgment for a pre-employment screening firm accused of negligence in a wrongful death suit arising out of a high-profile work place shooting involving media exposure for the client. Upheld on appeal. Hartford Cas. Ins. Co., et al. v. DP Engineering, L.L.C., et al., 827 F.3d 423 (5th Cir. 2016). Obtained summary judgment for a national insurance carrier denying coverage to insured for five lawsuits arising out of a catastrophic industrial crane accident at a nuclear power plant resulting in serious personal injury to numerous workers and a lengthy disruption in operations. Insurance coverage at risk included $7 million in indemnity coverage plus potential unlimited cost of defense. Upheld on appeal that the carrier had no duty to defend. Murray v. Chick-Fil-A, 626 Fed.Appx. 515 (5th Cir. 2015). Obtained summary judgment for a restaurant in a slip-and-fall case involving a serious injury allegedly necessitating a significant life care plan. Case upheld on appeal. Martin v. Chick-Fil-A, No. 14-13-00025–CV, 2014 WL 465851 (Tex. App.—Houston [14th Dist.] Feb. 4, 2014, no pet.). Obtained summary judgment for a restaurant in a trip-and-fall case involving a serious injury requiring surgical intervention. Case upheld on appeal. Vonnie Lundstrom v. Dependable Comfort A/C & Heating, Inc., et al., 2015 WL 4393986 (S.D.Tex. 2015). Obtained partial summary judgment, and then disposed of the remaining claims through a Motion for Death Penalty Sanctions, for an air conditioning company accused by a homeowner of causing her terminal pulmonary disease due to allegedly defective equipment and installation. Obtained summary judgment for a parts supplier who provided oil field equipment to a midstream compression facility that exploded resulting in catastrophic damage. Obtained summary judgment on behalf of railroad in a FELA case arising out of a construction accident where a crane dropped a steel piling onto a contract laborer crushing his leg. Represented a concert venue in a landlord-tenant dispute involving the attempted wrongful lockout and termination of a thirty year lease resulting in substantial damages to the business. Landlord resolved the case immediately prior to trial with the concert venue for $2.8 million. Represented a doctor and nurse in a malpractice action involving the alleged wrongful withholding of a prescription medication resulting in a traumatic brain injury. Represented an oilfield services company against former President who pilfered company accounts for years and then subsequently raided company assets upon termination in an attempt to set up a competing company. Obtained the return of all company assets, a substantial return of company funds, and enforced non-compete provisions of employment agreement. Represented an oilfield automation company against a national independent E&P company in a dispute over defective equipment installed at multiple production sites in Pennsylvania and ownership rights to proprietary intellectual property developed by the company. Represented a refiner in an international arbitration concerning a dispute under Swiss law with a multi-national parts supplier over defective equipment and design for a processing facility in Kuwait. Represented a specialty business valuation firm concerning a dispute over a valuation performed for a high-profile transaction in which some of the partners later claimed various breaches of professional duties and securities laws after becoming unhappy with the transaction. Represented an oil company against multiple homeowners in a dispute over alleged environmental contamination following a well blowout next to a residential area which received extensive media coverage. Represented an oil company involved in a dispute concerning the valuation and sale of working interests in various east and south Texas fields. Defended numerous accountants, lawyers, securities brokers, financial professionals, doctors, real estate professionals, mortgage brokers, and other professionals in a variety of business tort claims arising out of alleged breaches in rendering professional services often involving complex underlying business transactions and financial services.